A Leamington woman is the grand prize winner of the Dream Lottery, in support of the regional hospitals in London. 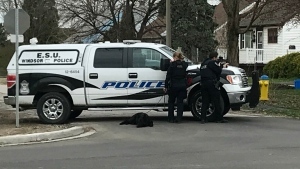 Mary Difranciso of Leamington purchased the winning ticket. She’ll choose one of three prize options; a south London home, a downtown condo or $1 million. London Health Sciences Foundation president and CEO John MacFarlane called Defrancisco with the good news. Initially in disbelief, Defrancisco says she was worried it might be a bad joke and didn’t want to invest a lot of emotion in the win until she confirmed it. Defrancisco has bought tickets before, but never won. She says she debated buying this time, but decided she needed to keep supporting the hospitals as her family has experienced their care firsthand. The winner of the region’s largest 50/50 was also revealed Thursday morning. Heather Whyte of Breslau takes home $439,927. Whyte says she is grateful for the healthcare system in the region and the work done at London’s regional hospitals. All winning numbers for the lottery were drawn Jan. 9 at the office of Deloitte LLP, in London, under the supervision of accountants of record from the firm Deloitte LLP. 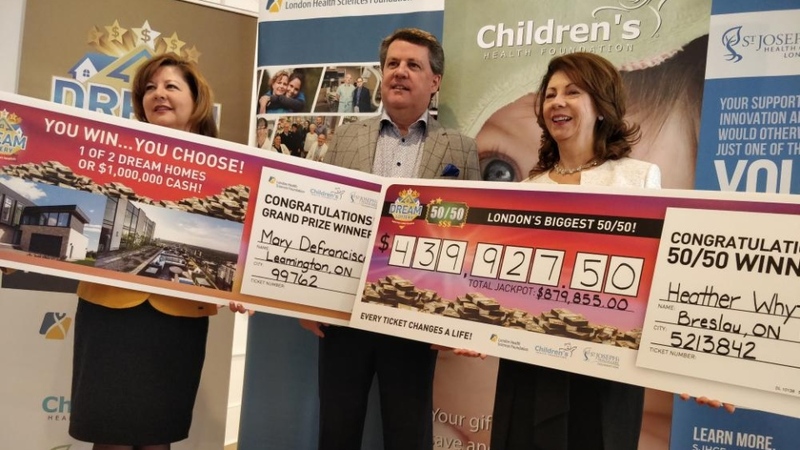 Lottery officials announced they raised more than $1 million in this latest draw, lifting the total raised since 1996 to more than $34.6 million for equipment, research and education at London Health Sciences Centre, Children’s Hospital at LHSC, and St. Joseph’s Health Care London.